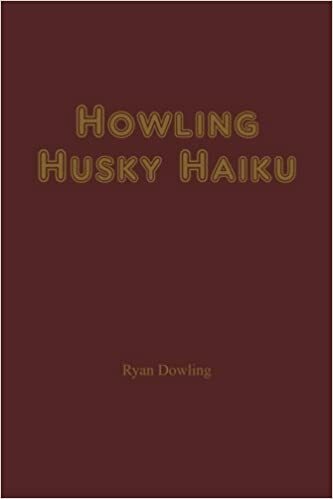 Howling Husky Haiku are a series of mostly Alaska-inspired haiku, many of which were written off the cuff between bouts of gardening, mushing, fishing and beekeeping, and then labored over the long Alaskan winter in the course of a year. Although these haiku do not follow the traditional syllable count and sometimes neglect the seasonal themes typical of Japanese haiku, the poet has endeavored to capture the same Zen-like awareness, crystalline imagery and insightful brevity that runs with such eloquence through the likes of Basho, Buson, Issa and Shiki. In short, these haiku strive for similar ends as those of the Japanese masters, but their setting, their language, their particular brand of consciousness is always American-and often Alaskan. and fall quiet as snow.